The need to consider getting dentures can arise from many situations or circumstances which occur throughout your life. This need could simply be the result of aging, or due to accidents where teeth fall out. Dentures should be considered anytime you have had any tooth loss. Dentures are essentially false teeth which are used to replace the lack of some, or all of your teeth. 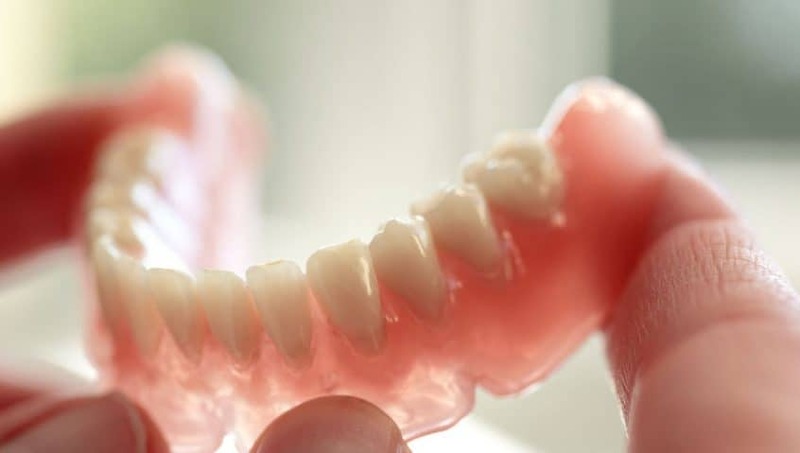 The top three most commonly asked questions about dentures are discussed below. Denture fees are determined by the complexity of the treatment process; for example, you should expect partial dentures to cost more than full dentures in most cases due to their increased intricacy and complexity. Fees can also vary based on other factors that are unique to you. At Chinook Denture Clinic, we take all factors into consideration when it comes to our patients’ satisfaction – this means providing the best quality service at an affordable cost. Compared to a dentist, working directly with us generally shaves at least 30% off the cost of dentures due to us having the necessary lab and equipment to manufacture your new dentures in-house. Dentures are customized to properly conform with your gums, lips and entire mouth, providing a natural and healthy looking smile. You will not likely notice a big difference in your overall appearance – however, the absence of missing teeth and dentures optimized to allow you to look your best will certainly be obvious. Additionally, you will notice that properly fitted dentures provide the support to your facial muscles that was diminished by the absence of teeth. This could change your appearance, by reversing the “sagging” of your face and even reduce wrinkles as a result. The new look and feel of dentures is something that you should get used to in a very short period of time! When you get dentures for the first time (or change to a new denture), there will be an adjustment period. You may experience some changes in your speech as your muscles adapt to the new apparatus. For example, you may experience some lisping in the initial stages. In cases where the dentures cause clicking or whistling sounds during speech, you should visit us for a follow up appointment so we can adjust them. Most patients are able to adapt to the dentures very quickly – often within one week – and fully regain their normal speech capabilities. There are also certain techniques or best practices that we will share with you to accelerate the “re-learning” process. For over 24 years, we have been helping Calgarians with their denture needs. We know that making the transition to dentures is a new experience for you, and that you might have many more questions about them. Our specialists are available to walk you through all the steps, what to expect, and provide you with the care and comfort you need to make a well-informed decision to switch to dentures.